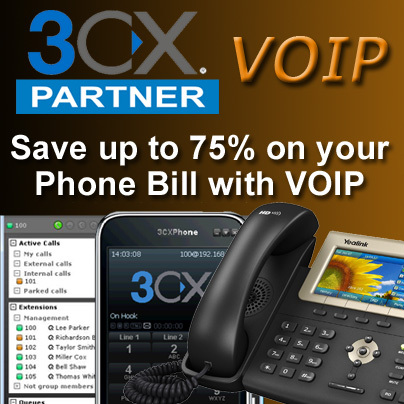 In 1989, the first Internet Service Provider, known as “The World,” began serving customers. Also in that year, GriD Systems Corp. introduced the first pen–based computer, and Intel rolled out its 486DX processor, with more than 1 million transistors and multi–tasking capabilities. Another technology highlight of 1989 was the introduction of the SQL Server, the foundation of Microsoft’s data platform. Locally, Keith Shook stepped into the world of entrepreneurship in 1989 and incorporated his start–up technology company. It was one of the early businesses of its kind in the region and has evolved with the industry. 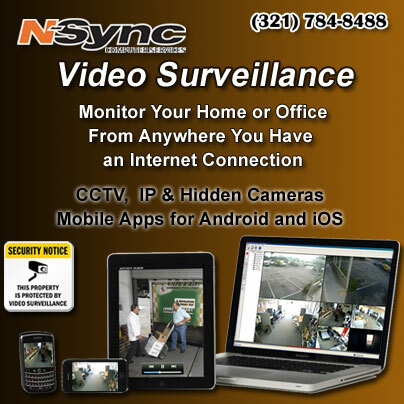 “I started with three clients in 1989, including the Brevard Museum and Space Coast Underwriters,” said Shook, the founder, president, and senior engineer for N–Sync Computer Services of Cape Canaveral, which today does business throughout Brevard County, and in Indian River County and Central Florida. 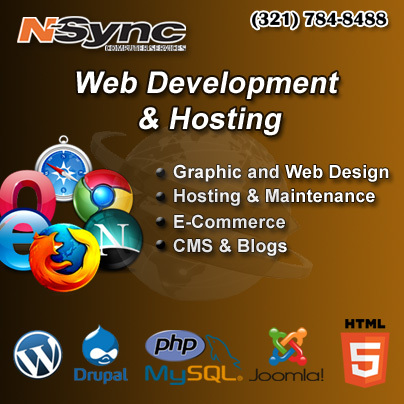 Over the years, his full–service company grew and grew as technology became more essential to businesses. 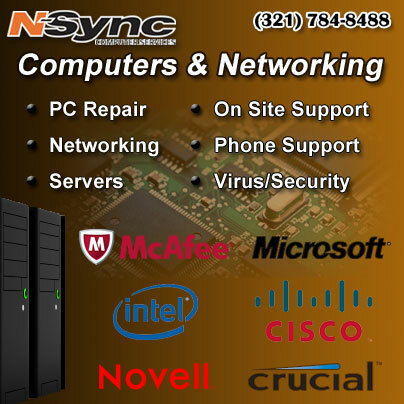 N–Sync Computer Services once had a base of roughly 1,000 customers. This was around the time of “Y2K,” when businesses geared up to protect their systems from a possible computer glitch that was forecast to happen on Jan. 1, 2000, the first day of the new millennium. Right now, business is “starting to pick up for our company. Construction and home sales are coming back around. Our real–estate clients tell us they are busy again. We’re very upbeat for business prospects in 2016. All the markers are looking good,” said Shook, whose clients include title companies, construction–related businesses, health–care entities, insurance companies and city governments, including Cocoa Beach. To read the entire article visit Brevard Business News.